Apple are firm and the skin is shiny and smooth. 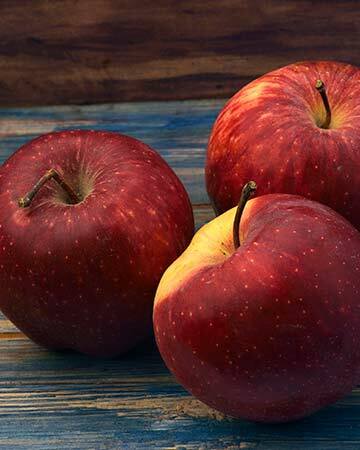 Apples come in all shades of reds, greens, yellows. The flesh is white or ivory. Before consuming, lightly scrub apples in cool water to remove the light wax coating or any dirt and any potential leftover insecticides. Then chop it in the desired form.